Another great week of link ups! Thank you to everyone that shared a post! I love coming across "Waiting on..." posts! Check out my features below for a couple of waitings ons and a post that will inspire every blogger out there. Thank you for sharing! 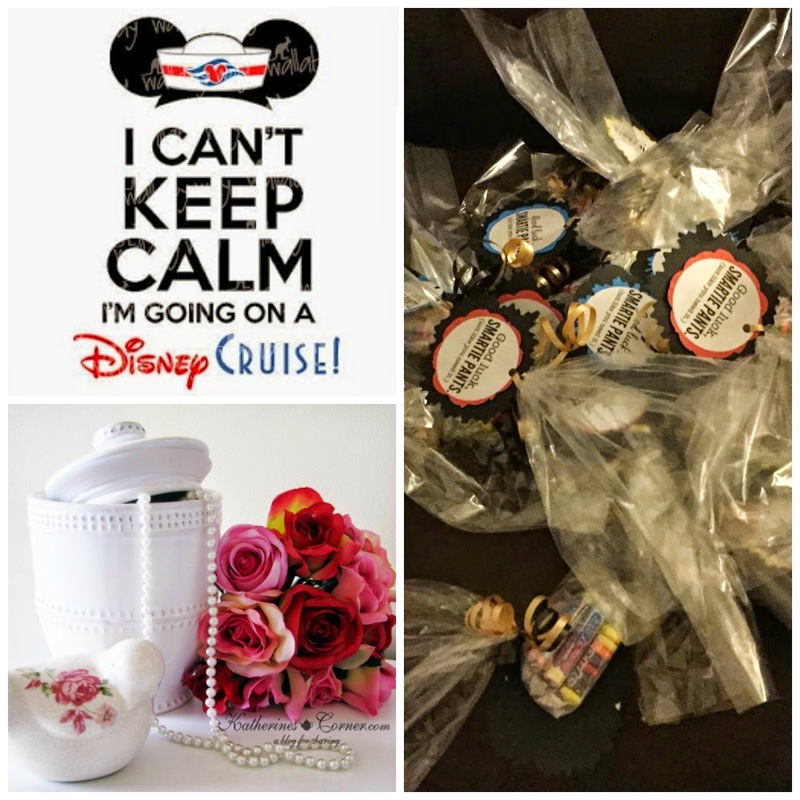 *Waiting on.....Disney by Misty @ Morris Moments - Misty is sharing with us ways that she is saving for her upcoming Disney Cruise! She listed some ways that I hadn't even thought about to make extra money by selling items that you are ready to part with. Keep us posted, Misty, on how you're doing! Can't wait to hear all about your cruise!!! *Waiting on Wednesday: Track & Testing by JulieAnn @ Coach G's Wife - This sweet girl put together good luck goodies for her husband's 8th grade science students as they were preparing to take the STAAR test. She was also working on snacks for the high school District and Area track meets. Gifting is one of my love languages and I love to see another Gifter in action! Great job, JulieAnn! *Heart to Heart by Katherine @ Katherines Corner - To all my fellow bloggers...have you ever wondered, "does anybody read my blog?" Katherine shares a touching story with us and reminds us that even when we think no one is reading, they are. Such a great reminder for life - you could (and are!) influencing everyone around you! Thank you for sharing, Katherine! What am I waiting on? I feel like a kid - I can't wait for SUMMER! I am SO ready to replace the kiddos' backpacks with beach towels! Summer can't get her soon enough! Only 21 more days of school!!! You are very welcome, Katherine! Happy to have you! Have a great day! Thanks for hosting as always. I will be back to link up! Girl, we are all in this together! :) Happy to feature you and your sweet heart! Keep up the great work! Thanks, Jas! I love reading through all the link-ups! There's some great stuff out there - week after week! YES - only 21 more days!!! Summer can't get here fast enough. My house looks like a disaster zone and so do our schedules - I'm in desperate need of a slower pace! Thanks for stopping by! Love having you here! Have a great day! Thanks For hosting Holly! Love all these features- off to check them out- have a great day! You are so welcome, Keri! Thank you for stopping by and checking out some of the link ups. There are some really, really good ones this week!!! 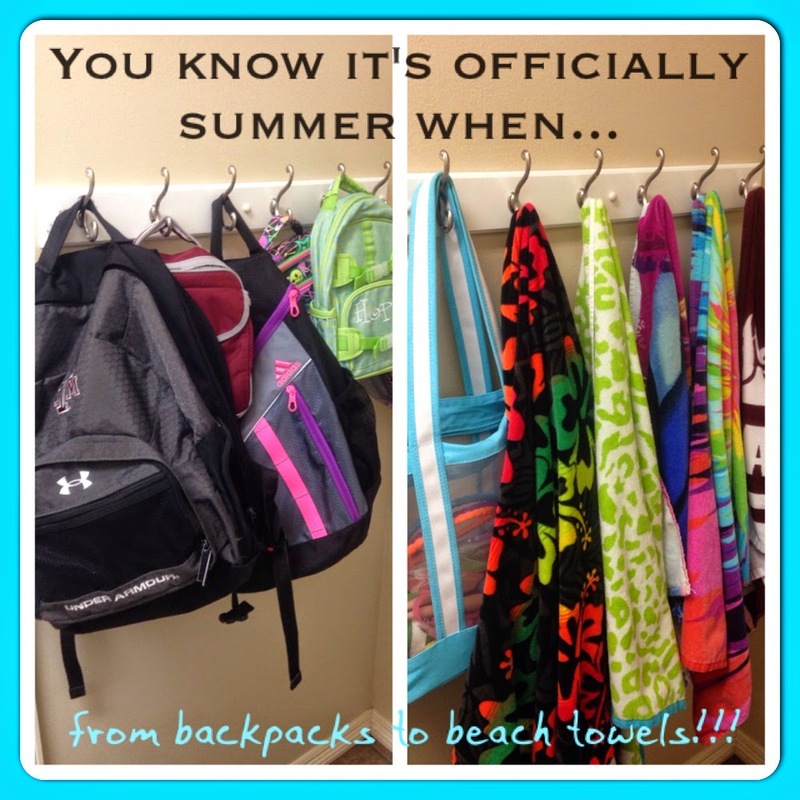 Love that pic from backpacks to beach towels! Since Xavier isn't in school yet, and I don't get the summer off I totally forget about the excitement of school being over. lol! I snapped that last summer and I love it too! Something about putting those backpacks away makes it feel for real! I love summer vacation!